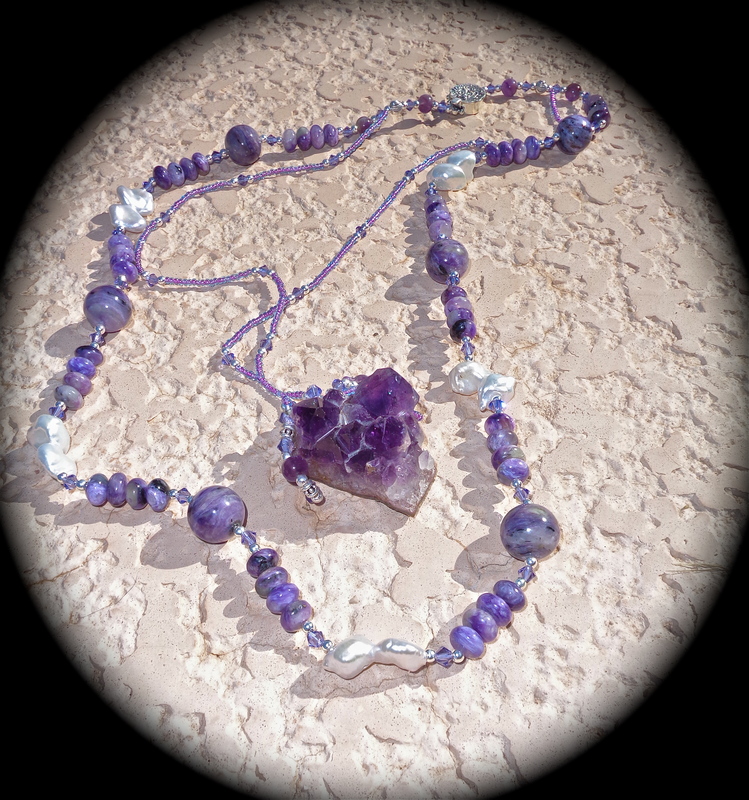 The lovely necklace included here is one of the newest in our Metaphysical Collection. Our Metaphysical collection includes a rough stone and polished stones often of the same variety. This necklace however has matching stones in color however the type of stone varies from the central to the necklace inclusions. The semi-precious gemstones included here are Beryl and Aventurine. Beryl is a green gemstone which is closely related to Emerald. 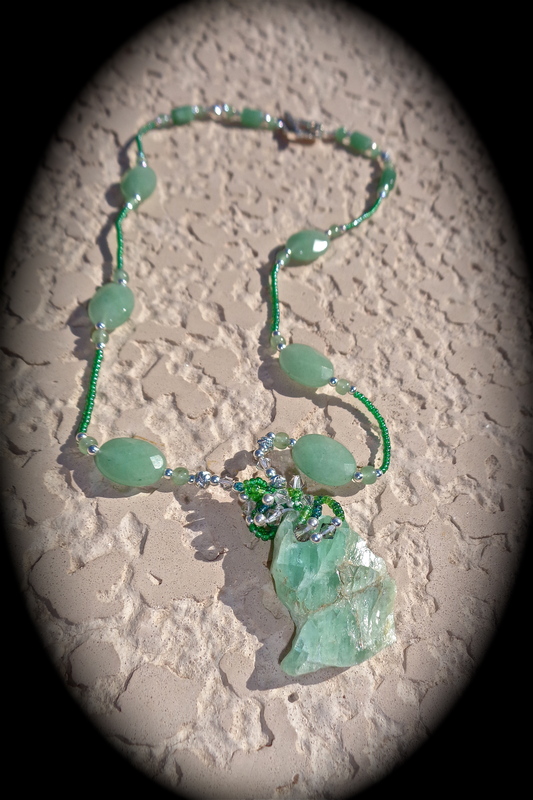 The lighter color of this rough stone made the Aventurine a perfect match. Aventurine is my personal favorite as a gemstone so I was delighted to put it with the lovely Beryl Central. 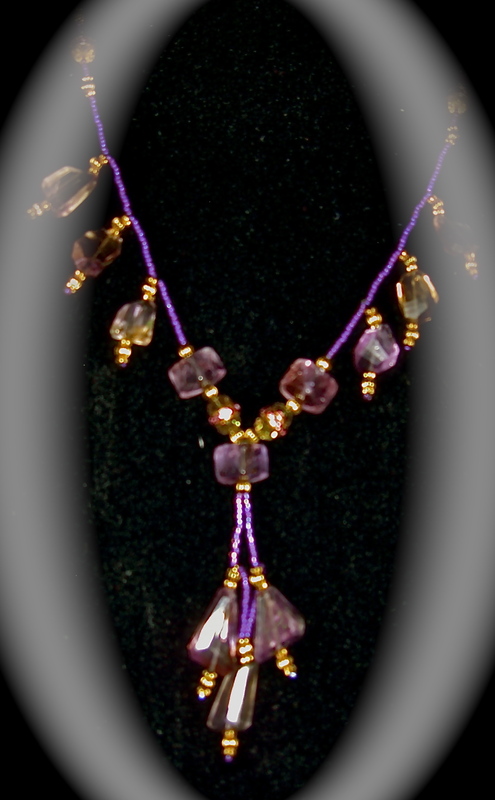 Also included in this piece are matching Swarovski Crystals in a melon shade as well as Sterling Silver Elements.